Whether you're looking for caffeine, cake or a spot to plug in your laptop - you've got to agree that central Kolkata has a serious dearth of good cafes. With branches in Southern Avenue, Salt Lake and Park Street, Mrs Magpie has now come up in the neighbourhood of Park Circus, and we are already hitting it up for some tea and scones. Enduringly popular for its cosy atmosphere, lovely service and some seriously great cakes and cookies, Mrs Magpie has charmed its way into our almost everyday, like none other. The commute was a constraint, but the scrummy sliders and soup were a hard pass. It's been a long wait, but thankfully our little haven of coffee and chitter-chatter has now opened store in Park circus, and it is a credit to the neighbourhood. 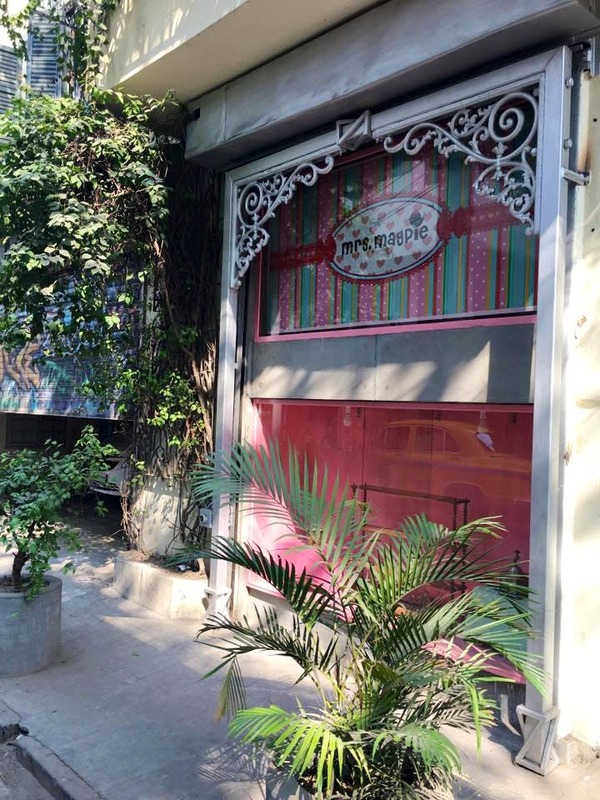 Tucked inside Terra Indica's striking designer decor store, the cafe takes up space in the ground floor. Stunning rustic polish beams and latticed arches and furniture continues with the antiquarian vibe of Terra Indica, but hints of the Enid Blyton-y charming world peeks out in little nooks and crannies, and of course in the pink store front. The menu is mostly same, with cupcakes and marzipan animals sitting centre to it, but it's not as extensive as the other outlets. Spotting the cafe could be tricky if you are not familiar with the neighbourhood. Coming from the main road outside Chittaranjan Hospital, you will have to take the lane adjacent to the hospital and then take a first right to get to the cafe. The Terra Indica store above the cafe is a lovely spot worth a must check. Remember to pop in there after your coffee in the cafe.